This self-guided walking tour follows part of the Main to Danube Way long distance path which at times parallels the world-famous Romantic Road. Pass through several former imperial cities of the Holy Roman Empire, walking through romantic river valleys, unspoilt farmland, ancient woodlands and the open Ries Plateau, the remains of a huge 15 million year old meteorite crater. Central Franconia boasts some of the most varied, interesting and romantic countryside in Europe, at times still with a medieval feel to much of it. 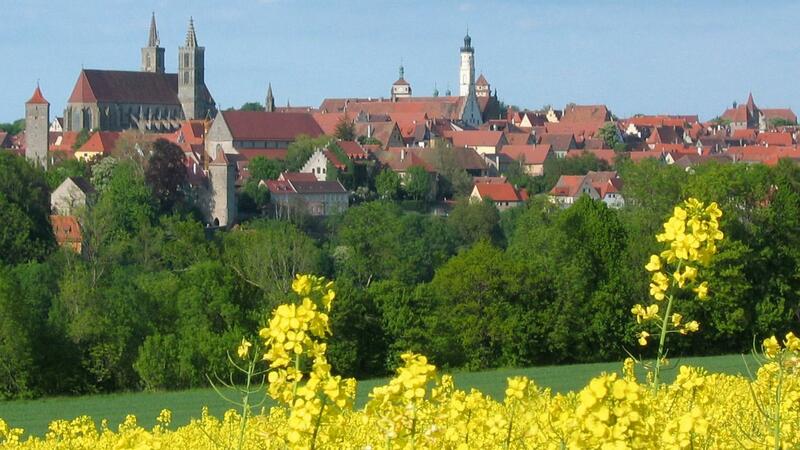 The Nature Parks of the Franconian Heights in the centre, the Steigerwald to the north and the Altmuehl Valley to the south are the backdrop to a host of historic towns such as Rothenburg ob der Tauber, Dinkelsbuehl and Noerdlingen. All are architecturally fascinating and yet as well suited to shopping and relaxing as to sightseeing and exploring. Walking from Rothenburg ob der Tauber to Noerdlingen, you will stay in five of the many romantic small towns along the way. 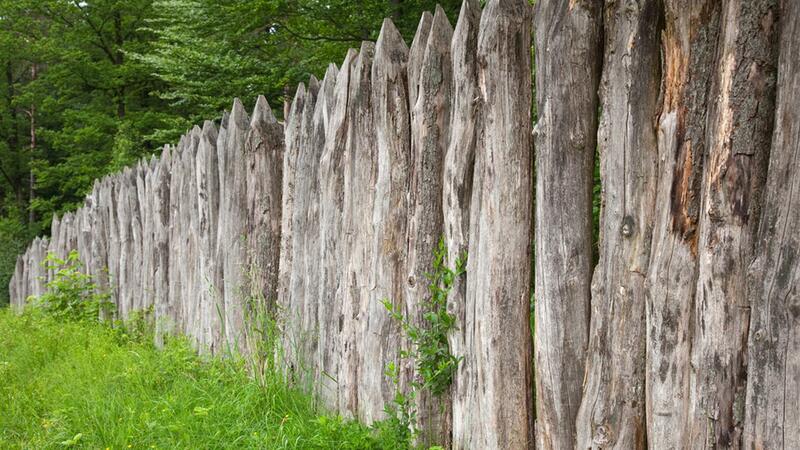 Reach the remains of the border of the Roman Empire, the Limes, known local as ’The Devil’s Rampart’. 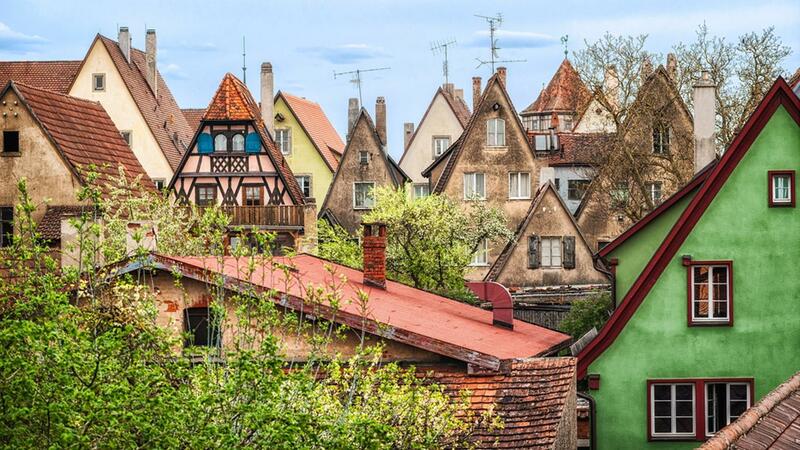 These towns and villages are full of colourful timber-framed buildings. The woodland is mixed deciduous and coniferous, while open land is often dotted with small lakes. Wild flowers lend colour to the scenery and wildlife is rich and varied. Deer are common, keep watch for wild boar and polecats which inhabit the forests, while buzzards, kites and goshawks may be seen overhead. The area is one of the driest and sunniest in Germany, so the forests offer the perfect walking environment on a hot day. Walk all the way or use public transport for as much or as little of the route as you want, while your baggage is transferred. 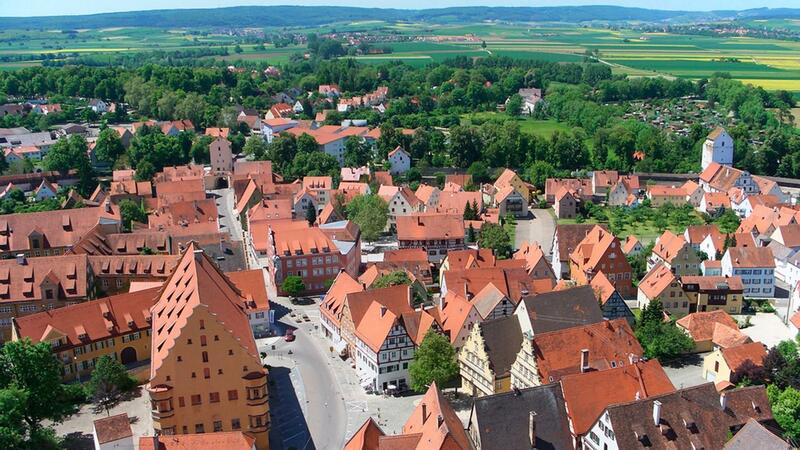 Read our pathfinder's detailed diary of a walk on Germany's Romantic Road on our blog. Arrive in the town of Rothenburg ob der Tauber. There is more than enough to keep you occupied; the town centre dates from before 1630, and the city walls remain almost complete. We recommend visiting the church where you’ll find a fantastic carving by Tilman Riemenschneider; one of the most prolific sculptors between the late Gothic and Renaissance period and a master in stone and limewood. Frankfurt, Munich and Stuttgart Airports are located closest to this area, with good connections with German rail on to Central Franconia. Set in a medieval house dating from 1603, this relaxed hotel is also 0.8 km from the Medieval Crime Museum and the German Christmas Museum. The warm rooms and suites feature complimentary Wi-Fi and TVs. Upgraded rooms also come with flat-screen TVs. Suites add separate living areas and free access to the hotel's fitness and sauna areas. Some quarters offer balconies. After exploring Rothenburg, walk up the Tauber Valley, past a number of water mills to Gebsattel, where there is an interesting church. Continue through forest and past Mary Magdalen's Spring to Schillingsfürst, where there is an impressive palace with a falconry centre and a unique ox-driven pump house. Flair-Hotel Die Post offers several dining rooms, including the delightfully-named Postmaster’s and Chimney rooms, as well as a beer garden and panorama terrace. This friendly family-run hotel even distils its own fruit liquor; available to guests! Walk to the former monastery at Sulz. While most of the monastic buildings were destroyed during the Peasant's revolt, the church is still in use. The way continues through forest, up to the ridge and on to a mill, then to Feuchtwangen, which has a fine marketplace and well-preserved cloisters (now used for theatrical performances). This charming traditional guesthouse is a stone’s through away from the historical town centre. Comfortable rooms and friendly staff will ensure you enjoy your stay here. There is also an authentic on-site restaurant serving regional specialities. Today you have an easy walk through forests. The route passes through tiny villages in forest clearings, but otherwise there is little sign of human habitation. By contrast, there is normally plenty of wildlife to be seen in these woods. 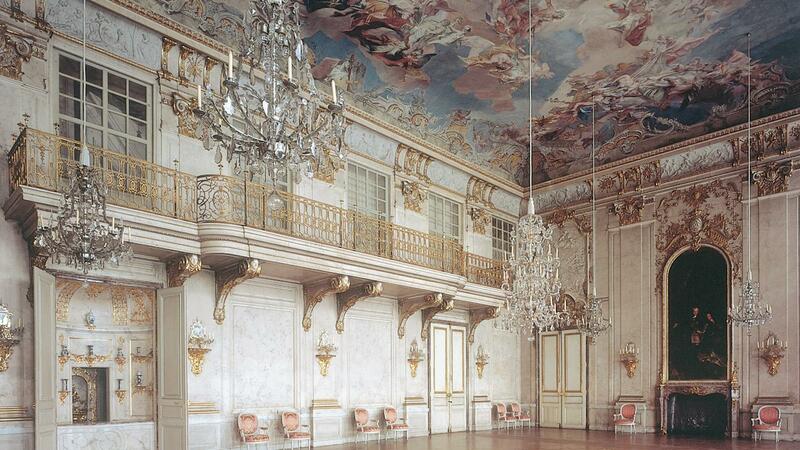 The walk brings you to the beautiful town of Dinkelsbuehl, where most buildings date from 15th and 16th Centuries. St. George's Church boasts the largest hall church in southern Germany. The back streets away from the very centre of the town are amazingly peaceful, and have often been used as a film set. Perfectly located, family run, hotel with restaurant. The lovely, clean, rooms possess all the required facilities. The restaurant serves delicious local food. Today's walk is again a forest walk. On the way you pass as series of trout ponds before reaching the village of Wilburgstetten, where there are both a fine pilgrimage church and the remains of the border of the Roman Empire, the Limes, known locally as the "Devil's Rampart". Shortly after you leave Franconia and enter Swabia. The walk ends at Raustetten. Gasthof Waldeck is a traditional family run guesthouse located in an idyllic surrounding. The restaurant offers local specialities which range from fresh deer to asparagus depending on the season you are travelling. This a day of contrasts. First you walk through forest to Maihingen, where there is a fine baroque monastery church and then to Wallerstein which has a famous plague monument. The final stretch crosses the flat and open Ries plateau, a meteorite crater 15 million years old. 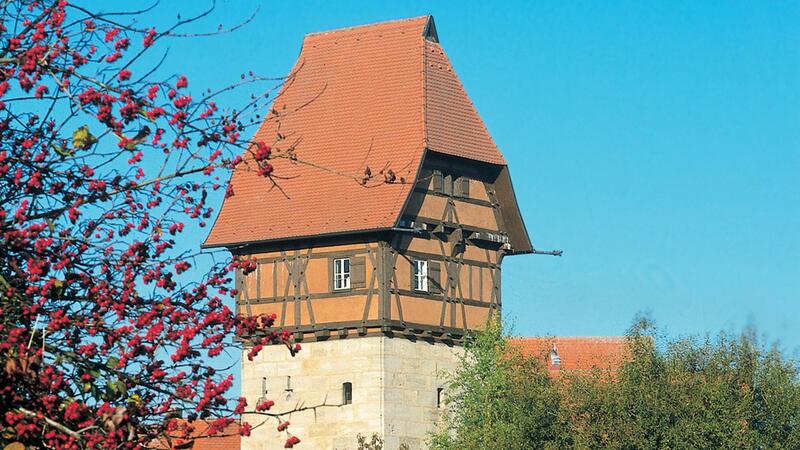 Your final destination is the town of Noerdlingen, almost in the centre of the plateau and almost perfectly circular. The city walls, with dramatic gate towers, are still complete today. Set 450m from astrological displays at the Rieskrater Museum, this classic hotel attached to a 13th-century monastery is also 900m from Nördlingen train station. Check-out of your accommodation and make your own way home. You can add additional nights at any point along the walk or at the start/end of your journey. The accommodation on this walk is in 3 star hotels. Some hotels do not have an official star rating, although are considered to be of a 3 star standard. All offer a warm welcome to walkers, traditional hospitality and an authentic experience. Please be aware that twin & double rooms in Germany (Doppelzimmer in German) are typically 2 single mattresses side by side in one double bed frame with two separate duvet covers and pillows. During the high season, you might be booked into alternative accommodations which are not listed in the description. Any alternative accommodation will be of the same or better standard as those described. Accommodation in this region can be limited in availability during July (due to the Kindezeche Festival). If you require single rooms within your party we would be happy to accommodate you although there is a single room supplement payable. This holiday is available for solo walkers. This walking tour is graded easy to moderate. Daily distances do not exceed 22km. You can often choose to take advantage of the public transport to shorten your walk if desired (where possible, and payable locally) or opt to take a taxi (also payable locally). You will be provided with detailed route notes and a map, so that you can happily find your way. Daily door to door baggage transfer is included in the price of your trip. We ask you to keep your baggage to a maximum weight of 20kg, split over 2 bags. The kilometres and distances are approximations of the recommended routes. Please be prepared by packing all necessary items, for example, proper rain gear (jacket and pants), sun hat, sunscreen. Your information pack has a detailed equipment list which includes standard walking gear such as good walking boots or shoes, warm and waterproof clothes for the cooler months and lightweight clothing for summer, and a day pack. This trip is available to start on any day of the week, from April to October. Traditionally July/August has always been the most popular time of year because the theory goes that the weather is better. Although we believe that any time between early April and late October offers a wonderful experience. This walking tour is graded easy to moderate. Daily distances do not exceed 22km. You can choose to take advantage of the public transport to shorten your walk if desired (where possible, and payable locally) or opt to take a taxi (also payable locally). We will provide you with the required route notes and maps that will keep you on track. Daily door to door baggage transfer is included in the price of your trip. We ask you to keep your baggage to a maximum weight of 20kg per person, preferably split over 2 bags (if possible). Frankfurt (2h45-3h15, change at Wuerzburg or Steinach), Munich (3h30-4h00, change at Munich main train station, Treutlingen and Steinach), Stuttgart (from 3h40, change at Stuttgart main train station, Ansbach and Steinach). 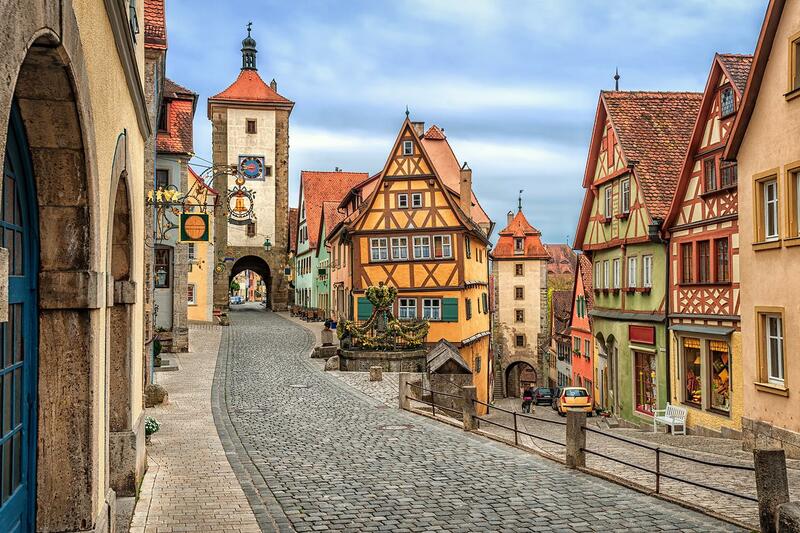 Start your walk in the town of Rothenburg ob der Tauber. Accommodation for 6 nights in 3 star hotels. Daily luggage transport of up to 20kg per person as required. Detailed route descriptions and pre-departure information. Travel to/from the start/end of the walk. Personal expenses such as drinks, telephone calls, extra transfers (such as by taxi or public transport), tips, etc. Any items not specifically mentioned in the program. Single room supplement(s) if applicable. Solo walker supplement if applicable. We suggest you book as soon as your plans are finalised as the region is extremely popular, especially over July/August. However, we will always try our best to accommodate your plans. Your detailed information pack will be sent to you after you book. This has a detailed equipment list which includes standard walking gear such as good walking shoes or boots, warm and waterproof clothes and a day pack. You can use public transport or local taxis to continue to your next overnight stop (payable locally). 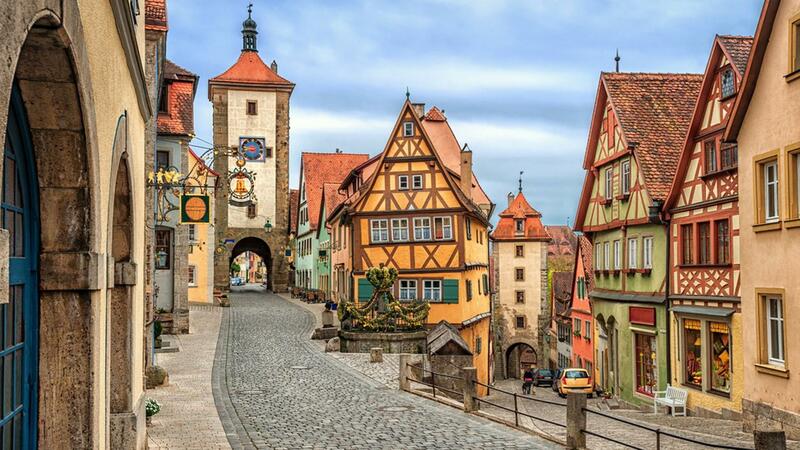 The Romantic Road is worth it. A combination of old, well preserved, towns, interesting history, and walks thru forests, vast fields, small agriculture villages. 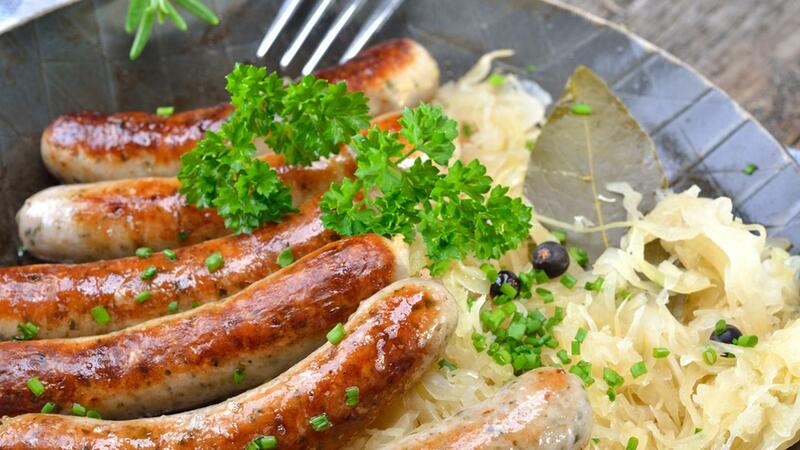 Good accommodations, good food for those who love German food and lots of beer (...). One aspect not well covered in the plan nor in the material provided: the daily walks should be carefully scheduled - so that enough time is left to walk around the cities, visit the sites and museums. At least half a day for each of the big ones. One other sore point is that the Opening Hours in the provided material are not accurate - we had missed a few attractions on that account. And a last point: the trip is expensive: more than a 100 Euro per night per person. In contrast to what was written in the brochure, there were no food shops and restaurants inbetween towns or they were closed (summer vacation?). You should give the right information in the brochure. Wonderful walking through ancient villages and loved the walking through the forests and the farm land. The walk was well organised and the back up notes etc were very good.The accommodation good. We felt it was good value for money. A great holiday. The walking was relatively easy in fantastic countryside. The surroundings were very quiet and the only thing you could hear was the sound of song birds. It was very meditative and a great way to get away from the stress of everyday life. The accommodation was good if not luxurious but everyone was helpful and friendly. We had some difficulties with transport as there was train strike at the beginning of the holiday. More information on how to find alternative transport would have been helpful as we wasted some time in Frankfurt trying to find the right route. However, once we were underway, it was great. We thoroughly enjoyed this walking tour, and would definitely recommend it. The towns we visited were fabulous and the accommodation was very good. We have left some more detailed comments here that may help those doing the walk in the future. Rothenburg, where we started, is very impressive but each destination on the walk turned out to be as good or better than the last. The one exception being Fremdingen which happens to be a small village with nothing of interest - just somewhere to rest for the night and having to walk through a muddy track just before the village did not help. At Schillingsfuerst castle, the display of falconry is not to be missed (even though the commentary is all in German, the show is impresssive and involves many types of predatory birds), but on the other hand the tour of the castle is best avoided if you do not speak German (the tour is conducted in German, with some very sparse written notes provided in English, but you cannot exit until the entire tour concludes). Dinkelsbuhl is a particularly fine example of a walled town - Note: the 3D museum is not worth the entry price charged. The walks too were interesting, although we back tracked once or twice as the route notes inadvertently led us astray. They were translated from German and the translation into English does not pick up correctly on the distinction between: - a t-junction and a road joining from the left and a fork in the road - a road veering to the left and a left turn There are some instances where the notes refer to a name which cannot be identified on the map or on the road and no translation is provided ("carry straight along the Obermühle at the fork"). The landscape and the path has changed in one area - a number of wind turbines bigger then the Eiffel Tower have gone up at reference point 4 on page 118 between Zehdorf & Köhlau. We lost a bit of time trying to figure out which way to go. More worrying still was a spot on the path with a tape blocking the route and a sign "Privatweg - Betreten Verboten - Lebensgefahr". Fortunately we decided to detour (the last word translates "Danger to life"!). This was half way between reference marker 4 and 5 on the same page 118. Whoever did the translation is obviously very good at both English and German, but you really need someone to walk the route and validate the translation as well as add clarification wherever the book is unclear or out of date or the way markers have disappeared. The maps are not quite good enough to get you out of trouble (there are no contour lines, and the scale is not detailed enough), so the notes need to compensate. We missed out a couple of sections - once to avoid walking in rain we took a bus from Schillingsfuerst and on the last walk from Fremdingen to Nördlingen we went with the luggage in order to have more time in Nördlingen. Overall a tour I would recommend to anyone who likes medieval towns - do not be put off by my comments about route notes, you just need to be aware and more careful. It is best to take a German phrase book or translation app as there were a few occasions at the end of a long walk when trying to order a meal - these proved essential. 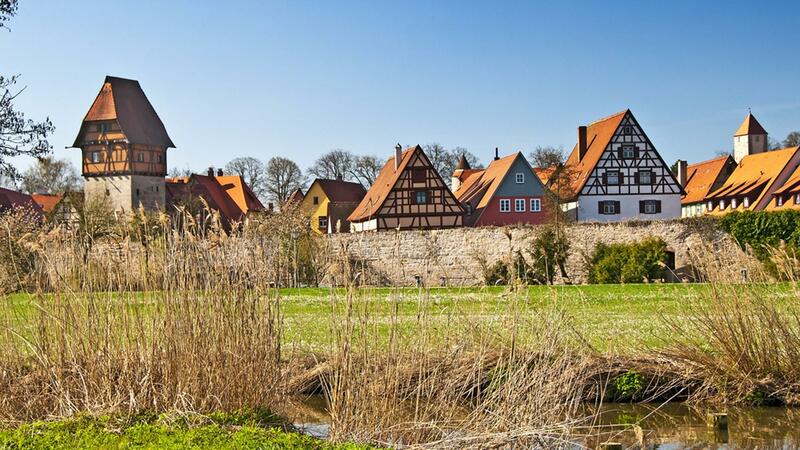 This trip will appeal to keen walkers interested in exploring Central Franconia’s medieval and historic towns, whilst discovering some of Europe’s most romantic and interesting countryside on foot. Walk through forests and woods interspersed with open land and small lakes. Keen wildlife watchers will be delighted by a glimpse of wild boar, deer, and perhaps even a pole cat!